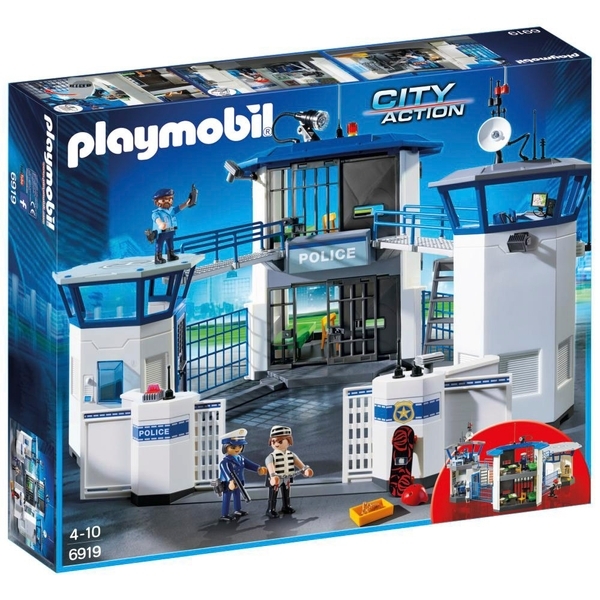 Keep your Playmobil City safe with this Playmobil Police Headquarters with Prison 6919 Set. The Playmobil Police Headquarters is fully equipped with lockable jail cells, control room and weapons store. The jail cell has a breakaway wall to help prisoners escape. The front gates slide open to allow vehicles through into the inner courtyard and there is a helipad on the roof.